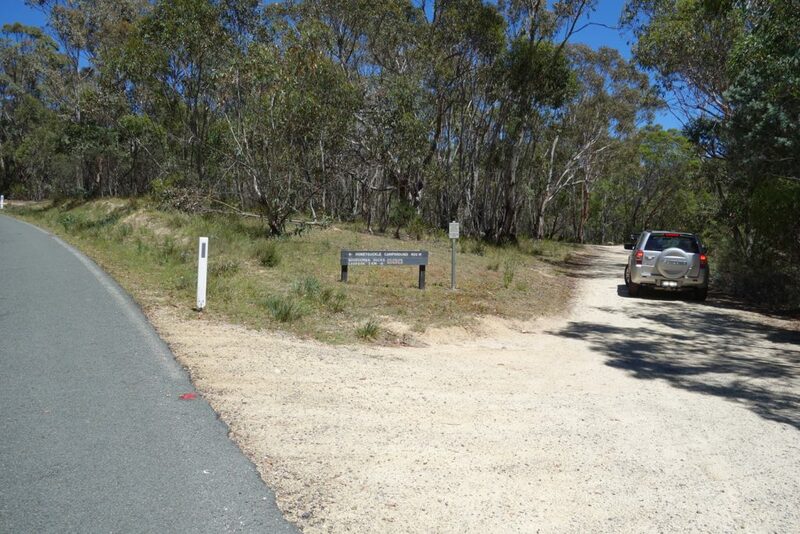 One of Canberra’s best known and loved bush walks. This is a popular walk that commences from two seperate locations with the most common choice for walkers being to start at the Booroomba Rocks carpark. Alternatively for those wanting a longer walking option you can start at the old Honeysuckle Creek Space Tracking Station that contributed to the Apollo space program. The most difficult thing about this walk is getting to the start point. The turnoff is on the right hand side of the road just before the entrance to the old Honeysuckle Creek Space Tracking Station campsite. The unsealed dirt road is usually in good condition however is unsuitable for cars with low ground clearance. The carpark contains toilet facilities but no water. The walk is well signposted and the path is in reasonably good condition even when I have done the walk in snow. Navigation is easy with the reward at the top being the best views of the city of Canberra on offer from the Brindabella Ranges. From the carpark the trail winds it’s way upwards at a steady and at times steep incline towards the main summit. This summit area is not the highest point of the peak and while providing great views, an additional walk of about 400 metres will take you to the best viewing area of Canberra. The trail over to the highest point is almost impossible to find unless you know where to look so many people will follow the narrow trails created by the rock climbing fraternity who access the cliff face at various points. While this high point is away from the cliff edge you will need some nimble footwork to access the very top. Caution is needed if using these minor tracks as you can come very close to the edge if you do not pay attention to where you are going. From the highest point of this peak you have uninterrupted views over Canberra which during the warmer months of the year, are spectacular. The return trip back towards the lower summit is relatively easy to find and connects you back to the main trail. Borooromba Rocks is one of the main rock climbing areas in Canberra with the access point to the climbing walls being from the summit if. The summit drops offs at the edge of the rock peak at a number of locations so take care of children as well as pay close attention to where you are walking. This is a popular rock climbing area so also look out for climbers below. 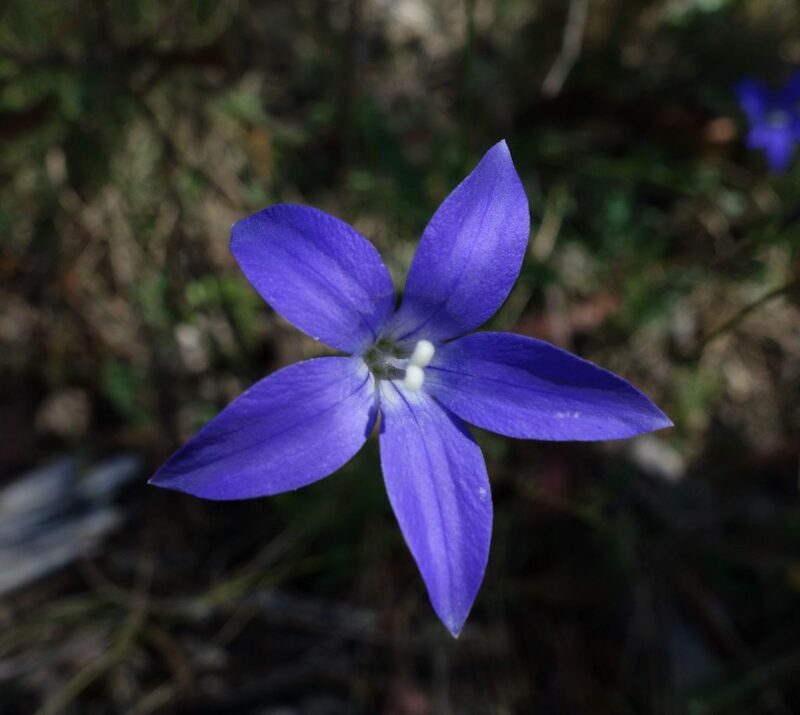 There are usually wildflowers during the warmer months with the peak being at springtime. This walk starts at the Booroomba Rocks carpark which is unsealed but in good condition. 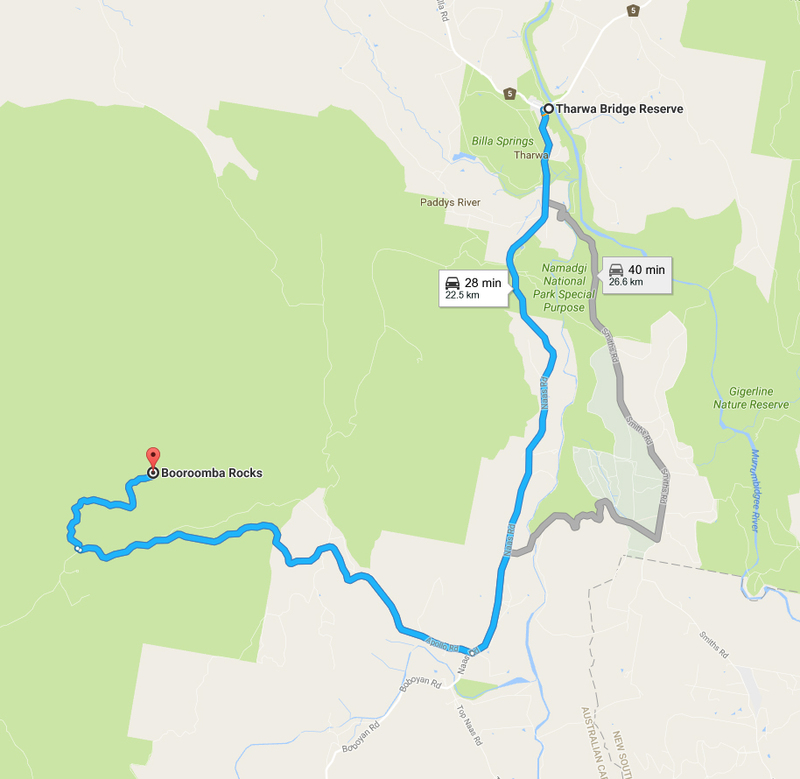 To get to the Booroomba Rocks carpark drive approximately 15 km from the Tharwa Bridge along the Naas Road and turn right off Naas Road onto Apollo Road. 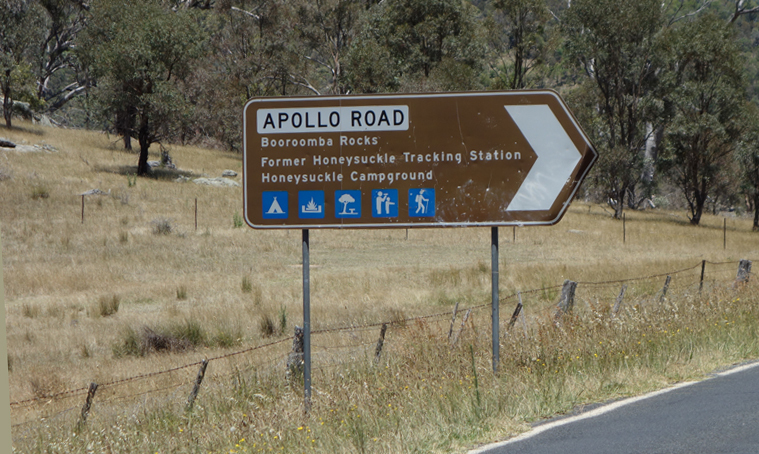 Drive approximately 7 km towards the end of Apollo Road and head towards the Honeysuckle Creek camp ground. The turnoff to the Booroomba Rocks carpark is approximately 200 metres before the entrance to the campground. The unsealed road is in good condition but not really suitable for cars with low ground clearance. There is ample parking most of the year although in the warmer months it is best to get there early to ensure a parking spot as this site does get busy.